These audio MP3 files are based on the principle that the mind leads the body, that your hockey practice is an expression of your mentality, (hence the term “MindSet”). 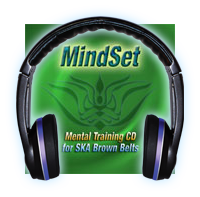 Regular use of these MP3 files can enhance your hockey practice by working directly on the thoughts and images that influence your actions and reactions. 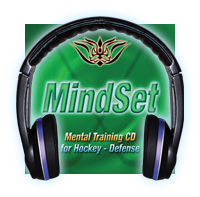 The MP3 files can incredibly heighten your hockey playing performance, no matter what your age or level of ability. 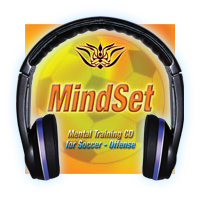 They will help a professional, club, recreation, or a parent’s child to push themselves beyond all previous limits. Just make a commitment to listen to the MP3 files at least 20 minutes a day for at least 30 days. The more one listens to it, with a more concentrated and focused mentality, the more they will get out of it. These renewed mental, technical and physical heightened abilities will be exhibited in their hockey games and practices. The hockey MP3 files are broken down into three different types, depending on what position one plays: defense, forward and goalie.